Home Learning Year by Year: How to Design a Homeschool Curriculum from Preschool Through High School (by Rebecca Rupp) presents a structured plan to ensure that your children will learn what they need to know when they need to know it, from preschool through high school. This book is based on the traditional pre-K through 12th-grade structure. Core Knowledge Series (by The Core Knowledge Foundation) has been created specifically for parents. In one convenient volume per grade, from What Your Preschooler Needs to Know through What Your Sixth Grader Needs to Know, this eight-volume series provides parents, teachers, and children with an engaging, illustrated introduction to the important knowledge outlined in the Core Knowledge Sequence. Typical Course of Study from World Book.com. The results of ongoing research into curriculum requirements and standards. The learning levels include preschool through grade 12. The typical course of study reflects general curriculum requirements across North America. The information is categorized by grade level and general skill type or discipline. 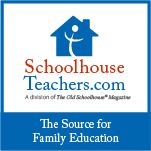 Daily Homeschool Schedules submitted by homeschoolers on About.com. Make a Homeschool Schedule by Homeschooling-Ideas.com. Lots of information and Sample Homeschool Schedules. You can also find Common Core State Standards on your state's Department of Education website. Each state publishes these, oftentimes labeled differently such as Curriculum, Standards, Assessment, and any combination thereof. (Having trouble finding yours? Let us know and we'll get you there.) You can usually find links to free resources, too! One of the many advantages to homeschooling is that, unlike public school students, your child does not have to learn any certain thing at any given time (except maybe the high school years). Your child can move forward or go back and review concepts not yet understood based on his or her academic ability. And the covering of these core subjects can be accomplished through any combination of homeschooling methods, in addition to field trips, park days, and group activities. While some parents choose to homeschool because of state assessments, other parents find them beneficial. Parents can use them to find out how much their children already know, identify skills their children haven't mastered, or confirm that their children are ready to advance to the next level. There are many schools and curriculum publishers offering free placement tests. Although companies specifically design their tests to help parents place their children appropriately in their schools or to purchase level specific course materials, parents can use their tests to get a general idea of where their children are academically. This is a collection of companies offering free printable, downloadable, and online placement tests. For links to non-free national standardized test providers, click here: Standardized Test Providers. Correct educational placement testing is a key component to successful homeschooling. Alpha Omega Publications offers free math and language arts placement test resources for Monarch, LIFEPAC, and Horizons curricula. You may also purchase a CD-ROM that contains Switched-on Schoolhouse tests for grades 3-12 in the core subjects of Bible, language arts, math, history and geography, and science. Calvert offers free, no-obligation placement tests for grades Pre-K through 8. Answer keys are provided. These online tests are designed to help Florida students get familiar with end-of-course assessments. The questions are minimal, but they can give students a general idea about what types of questions are asked. You will find sample Algebra, Biology, History and Civics tests. Direct link: http://fl.testnav.com/client/index.html. Taking the SAT Practice Test is a stress-free (and free) way to find your high schooler's strengths and weaknesses on the SAT. Your child can take the test online at CollegeBoard.com, or you can print it out. Free resources to help students practice skills required on various assessments. The placement test is made up of 16 assessments: one for each semester of Kindergarten through Middle School. Print out the assessment you feel would be appropriate for your child and give it to your student to take. This printable placement test includes 5 problems per grade level starting at first grade and ending with eighth grade. Have your child answer the problems until it becomes too difficult. The printable Answer Key will tell you what grade level and which volume of the Learn Math Fast System you should read. Designed to be taken at the end of a particular Math Mammoth course, these assessments can help you identify your child's understanding of specific math skills. You'll find separate tests and answer keys for each grade level from first through seventh. Math-U-See offers downloadable general and secondary level placement tests designed to help teachers determine their students' skill level. They also recently implemented a new placement tool specifically for homeschoolers. You'll find placement tests and printable answer keys for all grade levels. The National Right to Read Foundation has published a printable two-part Reading Competency Test--part one assesses phonetic code proficiency; part two assesses reading grade level--to help guide parents with children in grades 2 through 6. The test must be printed, but the results can be determined online or via a printable scoring sheet. Sonlight Curriculum offers printable placement tests for their Saxon Math program. While Saxon Math books are purportedly based on skill level instead of grade level, general grade levels are listed to help you choose an assessment. You'll find tests for all grade levels. The eight-part School Sparks Kindergarten Readiness Test will help guide you through the various developmental skills a Kindergarten student needs in order to be successful in school. The eight parts are: gross motor, fine motor, auditory processing, visual discrimination, letter and word awareness, phonemic awareness, math/number awareness, and social/emotional development. After completing this online evaluation, you will be given a summary of your child's skills and meaningful suggestions to help you prepare your child for Kindergarten. Links to free Singapore, Saxon, Horizons and Teaching Textbooks math placement tests. There is also a Quick Reading Assessment designed to help you determine your student's approximate reading level. Look here for a variety of web-based practice drills that can help your high school student prepare for the SAT. These downloadable spelling tests by the Institute for Excellence in Writing can help you evaluate your child's spelling skills. The tests are divided into three levels: grades 3-5, grades 6-8, and high school. The tests are designed to help parents determine which level to begin their children (ages 9 and up) in The Phonetic Zoo program. Test anxiety isn't something you can eliminate for your child, but it is something you can minimize. If your child is worried about doing poorly, tell your child that the test is testing you to make sure you're doing your job as a teacher. If your child is concerned about taking too long or not finishing in time, break the test up into multiple sessions and avoid timed tests altogether. If your child had negative test experiences in the past, perhaps while in public school, assure him or her that the results of the tests are only to help you plan and prepare future curriculum.